Rema Ministries, an indigenous Burundian Christian ministry was able to distribute clothes and food to refugee returnees as they arrive back in Burundi from camps in Tanzania. 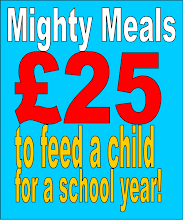 Mission International sent out over £1000 of support raised by East Linton Primary School in East Lothian in Scotland, funds raised by the children their parents and families and friends of the school. Most people nowadays have at least one old mobile phone lurking in a drawer somewhere in their house. Old phones are now worth very little here in the UK but in the developing world a mobile phone can mean a small business in a rural community thus an income meaning a lifeline to the owner. Furthermore many very rural communities have no permanent means of communication and so a mobile phone can be for some the difference between life and death. 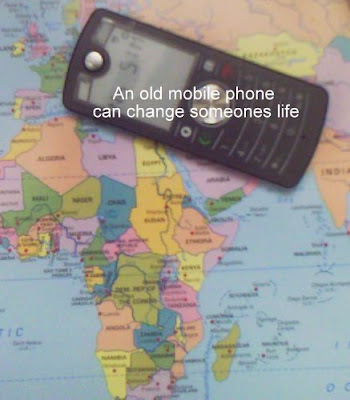 If you would like to donate your old mobile phone (working phones only please) to help a community in the developing world, please send it to Mission International, 25 Tait's Lane, Dundee, DD2 1DZ, Scotland, UK. 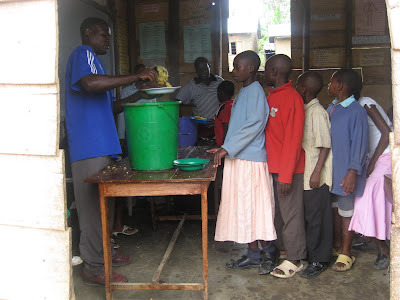 Pastor Emmanuel Nnyanzi and his church in Mbarara, Uganda held a special Easter celebration for the church congregation and for the Children of Parental Care School during the Easter period, her you can see the kids lining up for a special Easter meal. No Easter eggs or bunnies here but lots and lots of Matooke, the staple of Ugandans. More food for those with leprosy. Due to elections in India, this distribution of food was delayed, but now those in need have received a supply of rice and other essentials. 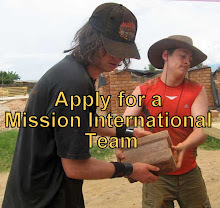 Remember to check on the Mission International prayer blog. 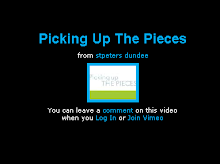 Items for prayer are regularly added to the blog to help you as you pray. Please pray for our work, our volunteers, our partners in the developing world and for the may who God had given us the responsibility to support. To visit the News and Prayer blog click here. 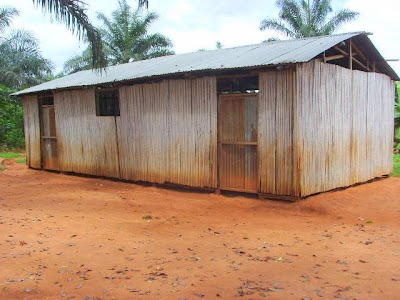 Refugee returnees need church buildings! Refugees returning to Burundi after many years in exile are facing many great difficulties. The lack of food and shelter amongst the most pressing. Christians however face a further problem, that of finding the means to build a place of worship. Many Christians meet in the open air, under a tree or in the case shown here under a piece of tattered tarpaulin. If you would like to support Mission International's work amongst refugees please either follow the PayPal link at the top right of this page or click here and choose the appropriate forms. The Benstead family have travelled to Burundi for a few weeks to help the Carrs and the rest of the building team, as they move the Hope Centre project on in Gatumba. This family have spent the last few months of their lives raising funds, in all sorts of ways, to support the project. 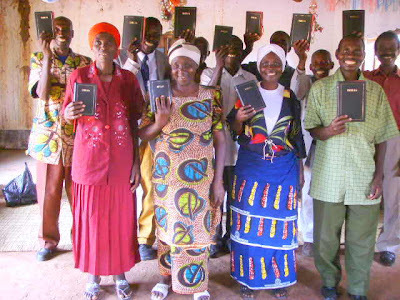 Happy smiling faces on the church leaders in this picture when they receive a new Bible from the Bible-A-Month Club. 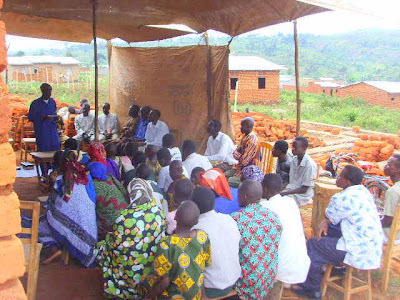 Pastor Hezroni, who is now resettling in Burundi and travels between the camps and his new home, is the senior pastor responsible for this group. He distributed the Bibles at a recent training seminar for church leaders in Katumba refugee camp in Tanzania. 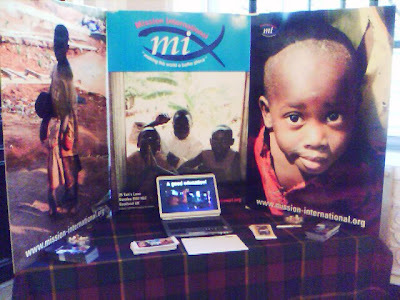 Like many other local and national ministries, Mission International took the opportunity to erect a display for those who came to the Resurrection Day celebration in the Caird Hall in Dundee to browse before and after the main event. Friends old and new came by to have a look and many took materials home with them to look at later. 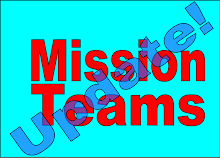 A number of people expressed interest in mission teams and others in supporting the work of Mission International financially. 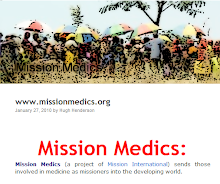 Since this was the first large event the Mission International has attended we are delighted that so many visited us on the day. A view of the corner site we were given with display images and leaflets backed up by a PowerPoint presentation showing some of the work in which we are involved all to the beautiful strains of the African Children's Choir. Great support on the face of it! Three girls, soon to be going on a Mission International team to Burundi, have been helping at a recent Easter fundraiser for the charity. The girls are part of the July '09 team of 15 people who will fly to Burundi for their first excursion into Africa's great continent. To see more on the fundraiser click here. 37 The expert in the law replied, "The one who had mercy on him." Jesus told him, "Go and do likewise."